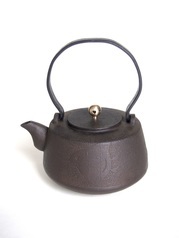 I use wazuku, which is Japanese iron from ancient times, and produce teakettles. 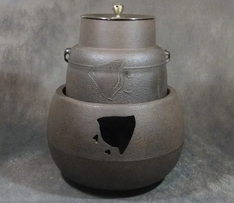 By applying traditional technology such as horobiki*, the loam mold casting process or iron smelted in a furnace, I aim at the creation of works incorporating modern concepts. 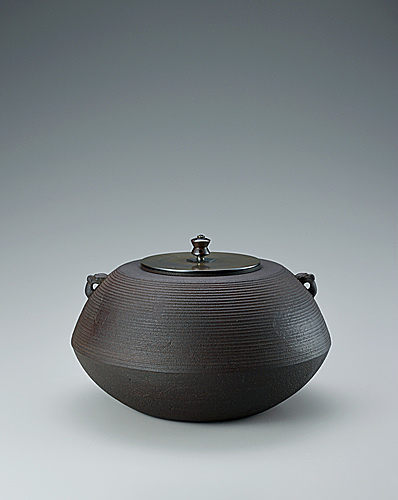 *A technique to make a mold by putting a mix of kneaded river sand and clay wash into a molding box, and pulling it around a wooden pattern. 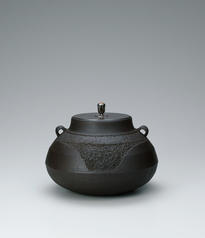 Tea ceremony kettle of “datsuma” type with thin grooved lines. 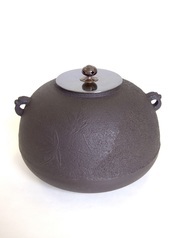 “Fuji” tea ceremony kettle with rough surface texture.